The centrepiece of most kitchens, it’s important to ensure that your cooker remains in full working order. Innovative Apppliance Repair is offering Cooker Repair in your suburbs in case you are looking for a professional and reliable repairer. 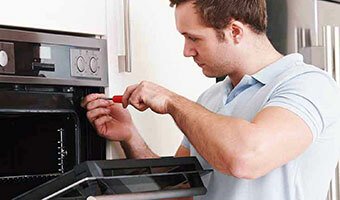 We provide an excellent and convenient cooker repair services, at affordable prices. Our friendly repair technicians will first diagnose the issue. We are the cheapest call out fee (no hidden charges) in Perth. For a one off $88 call out, we will fault find & quote your appliance whether it takes 15 minutes or 1 hour! Any Electrical Appliance we can fix it. If you’d like 2 appliances look at on the same day, we charge a $99 callout fee. I service / repair most Electrical domestic appliances from Mandurah to Perth areas and beyond! We also offer a Saturday service for your convenience, Contact us for more info! It often ignored appliance as it seems consumers buy these appliances based purely on style as they are always on display. We are the appliance repair experts and our engineers have already successfully repaired home appliances for many of our great clients across Perth. We are a family based business. I have been an electrician for over 20 years and have had extensive experience in household appliances. We are the appliance repair experts in Perth and our engineers have already successfully repaired home appliances for many of our great clients across Perth. We Accept Credit Cards Some Fees Do Apply.